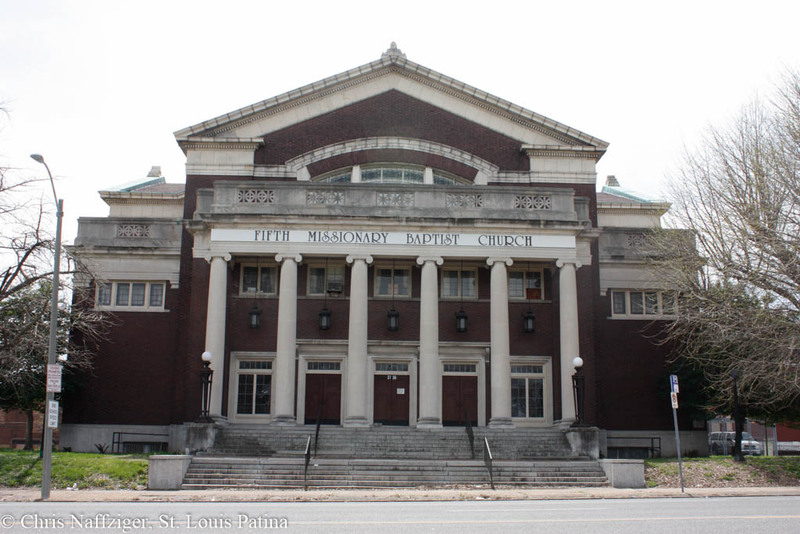 This is a former Christian Scientist Church, one of many once built in the city. This one dates to 1923, and was designed by the firm of Wedemeyer and Nelson. The founder sought to differentiate her churches away from traditional architectural styles, such as the Romanesque or Gothic Revival (but not always), so chose the Beaux-Arts Style for new buildings. This church holds a lot of memories for my family and me. My uncle was the maintenance man there for several years and lived on the top floor in the back of the church with rooms on both sides of the organ equipment connecting by a long hallway. My younger brother and I roamed all over the church finding many nooks and crannies to hide in. It was a beautiful church building inside as well as outside. It also had an elevator at the time. I can remember listening to the Cardinal ballgames at the old Sportsman Stadium on the radio with Harry Carey & Jack Buck as announcer. It was exciting with every homerun, you could hear the crowd cheering through the window and Harry Carey yelling, “It might be, it could be, it is a Homerun!” Those were special times spent with my uncle never to be forgotten. My Grandmother also had a small 2 room apartment just a few doors down the street during this time. Thank you for posting the photo.